This article, as part I, introduces three algorithms and applies them to both series of the monthly stream flow and rainfall in Xijiang River, southern China. The three algorithms include (1) normalization of probability distribution, (2) scanning U test for change points in correlation between two time series, and (3) scanning F-test for change points in variances. The normalization algorithm adopts the quantile method to normalize data from a non-normal into the normal probability distribution. The scanning U test and F-test have three common features: grafting the classical statistics onto the wavelet algorithm, adding corrections for independence into each statistic criteria at given confidence respectively, and being almost objective and automatic detection on multiscale time scales. In addition, the coherency analyses between two series are also carried out for changes in variance. The application results show that the changes of the monthly discharge are still controlled by natural precipitation variations in Xijiang’s fluvial system. Human activities disturbed the ecological balance perhaps in certain content and in shorter spells but did not violate the natural relationships of correlation and variance changes so far. 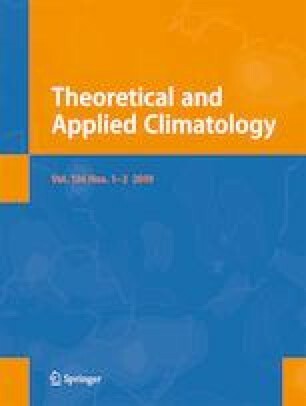 We acknowledge gratefully that this work is jointly supported by the National Key Research and Development Program of China(2017YFC1502005), by China Meteorological Administration Special Found for Climate change (CCSF201806), by China Meteorological Administration Special Found for Development of weather forecasting key technologies (YBGJXM(2018)03-15), by the National Natural Science Foundation of China (41505079 and 40705026), by the National department of Science and Technology—863 projects (No: 2008AA09A404-2), by a direct Grant from The Chinese University of Hong Kong (Project No. : 4052134), by Special Found for Climate change(CCSF2017060), and by the China Special Fund for Meteorological Research in the Public Interest (GYHY201406020).